Raymond William Kovacs, 80 passed away on Ash Wednesday February 14, 2018 in his home with his wife by his side and other family members in attendance. He was born on June 12, 1937 to Stephen and Dolores (Bourdeau) Kovacs. Ray was an avid reader of several subjects including religion, history and politics, was an avid sports fan and enjoyed learning about people and their family history. He loved attending the liturgy of the Roman Catholic Mass celebrated in Latin but he most loved spending time with his family, especially his six granddaughters. He graduated from Ashtabula High School in 1955 and exceled in basketball, track and football. 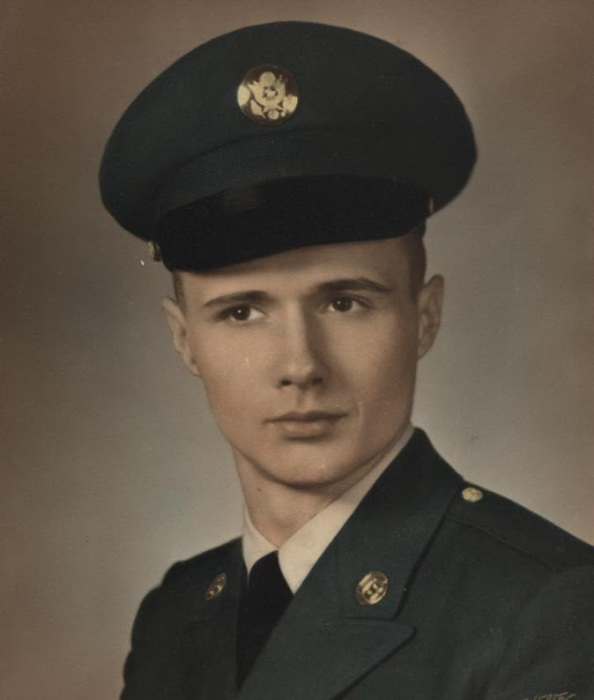 He attended Bowling Green State University where he was a member of Theta Chi fraternity then enlisted in the US Army where he served in Germany from 1959-1961. Ray married Lita Lignetta in 1962 and celebrating 55 years of marriage last year. Ray was an employee of Perfection Corporation and a longtime employee of Rockwell International where he was elected president of the United Auto Workers then later became a Quality Control Technician. He worked and retired from Iten Industries. Ray went back to work for US Security where he was employed part-time until he was almost 80.He was elected to and served on the Ashtabula Area City School Board, was a member of the Knights of Columbus, a former member of the East Ashtabula Club and Sons of Italy and a devout traditional Catholic. He was preceded in death by his parents, brothers John and Mike and sister Marilyn Carr. Survivors include his wife Lita, sons Raymond (Christy) and Kevin (Darlene) and granddaughters Elizabeth, Maria, Caroline, Julianne, Claire and Kate. He is also survived by his brothers Kenny, Norm and Mark (Brenda) and sister Virginia (Mickey) Rood. Contributions in his memory can be made to Saint John School or Hospice of the Western Reserve. The family would like to thank all of his physicians, the staffs at University Hospitals in Geneva and the heart failure floor at University Hospitals in Cleveland, all employees at Hoffman’s Pharmacy and the staff at Hospice of Western Reserve who provided excellent care in his final days. Visitation will take place on February 19, at the Guerriero Funeral Home from 5-7:30. Recitation of the Rosary will begin at 7:00 Pm to end calling hours. A Requiem mass officiated by Father Denis Bouchard F.S.S.P. will be held at Queen of the Holy Rosary Church, 291 Scoville Dr. Vienna Oh, 44473 Tuesday February 20, 2018, at 11:30 AM. Burial will follow at St. Joseph Cemetery, Ashtabula.